Maurizio Sarri and his Chelsea players have been completing their preparations for their huge Premier League clash with Manchester United and former boss Jose Mourinho on Saturday. The Blues took part in one final training session at their Cobham base on Friday afternoon as they looked to iron out the final details of their game plan for the highly-anticipated clash. Chelsea have started the new season in fine form, instantly adapting to their manager’s demands to join Manchester City and Liverpool in a three-way tussle for top spot in the Premier League. Their title credentials will come under threat on Saturday though as United aim to try and build on their late win over Newcastle a fortnight ago and turn their form around after a poor start. Belgian star Eden Hazard and his team-mates looked relaxed as they were pictured taking part in a number of exercises. Sarri was at the forefront of the practice, shouting instructions at his players as he looked to finalise his tactical ideas before the game. 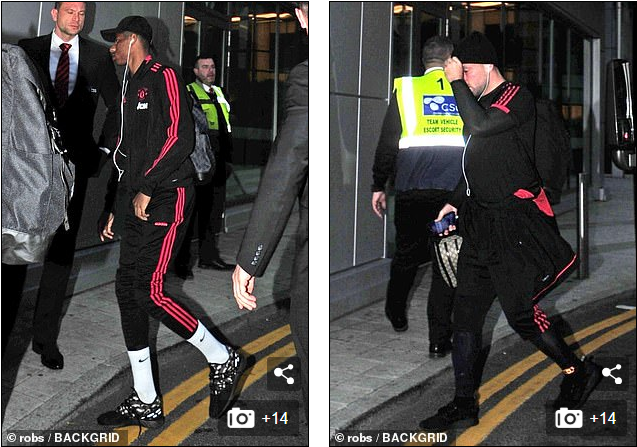 Meanwhile, Manchester United arrived at their London hotel on Friday night ahead of their Premier League showdown against Chelsea. Jose Mourinho and his squad travelled by train from Stockport station to the capital earlier in the day. 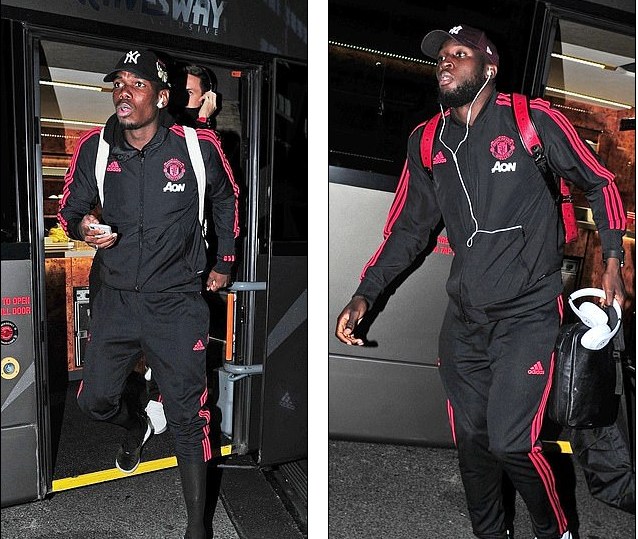 Paul Pogba, Romelu Lukaku and Co were spotted turning up at their West London accommodation, while Alexis Sanchez was at the hotel but wasn’t pictured. He arrived back in England on Friday afternoon after international duty. Some United players were pictured signing autographs for fans as they headed into the hotel.